All Good Marketing is Grass Roots — Marketing What's That? This morning while scanning through my emails, I stopped on my daily blog update from Seth Godin, the marketing rock star that brings all of us in the marketing space down to earth. I immediately forwarded it to my husband who is in the throes of campaigning for a city council seat in our small Florida town. Here’s a peek at Seth’s post (in bold) and my notes to Mark. Apply it to whatever it is you’re “selling” be it widget, service or idea. All good marketing begins as “grassroots” and needs to be looked at in the bigger picture. It is the sum of a lot of parts and starts with simple connections. 1. Advertising and marketing are no longer the same thing. 2. The most valuable forms of marketing are consumed voluntarily. Maria: Asking for people to “volunteer” their email address gets you to that sweet place of being able to “market” efficiently yet with the warmth of permission. 3. The network effect is the most powerful force in the world of ideas. Maria: Showing people that following you is part of the bigger picture…they’re all connected in the effort to get you elected…Your Facebook page shows that “network” effect. Just about every big organization ignores all three. Maria: You CAN and WILL win this election with a whole-food marketing approach. The flesh-pressing is just the advertising that gets you to the real / deeper marketing which is primarily permission based, inbound marketing (email / social). I highly recommend subscribing to Seth’s Blog. His daily dose of succinct reasoning should be part of every marketer’s diet. What do you recommend? Maria Slaby is the CEO of Dimples Media, publisher of several brands including The Bunk Room, a magazine written entirely by kids, offering publishing opportunities for community editions throughout the US with a mission to inspire kids to embrace reading, writing and ultimately critical thinking. 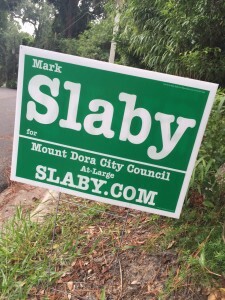 Follow Maria on Twitter @mariaslaby.